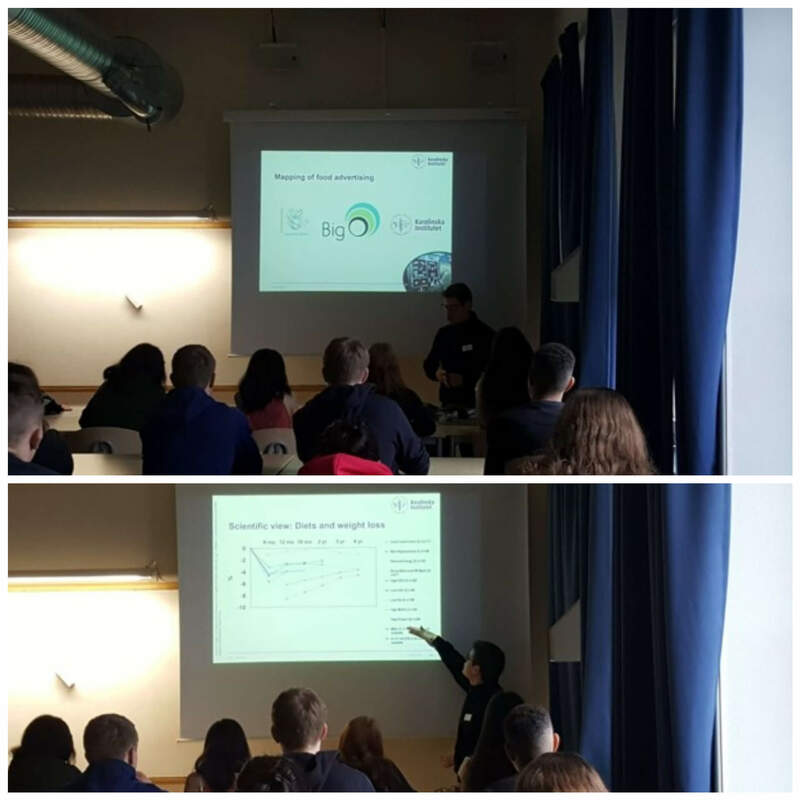 On March 7th and 8th, scientists from Karolinska Institute gave a series of invited lectures to around 90 students of Internationella Engelska Skolan in central Stockholm, regarding the social challenge of childhood obesity, presenting them with up-to-date scientific information on the matter. The presentation also covered potential use of novel methodologies, like the myBigO app, in order to collect more information about the behaviours and the environment of children and adolescents, adding another tool for tacking the challenge of childhood obesity. The participating students were very enthusiastic, considered the issues and proposed their own potential actions against childhood obesity. The lectures were organized through the natural science courses for the social science program students.